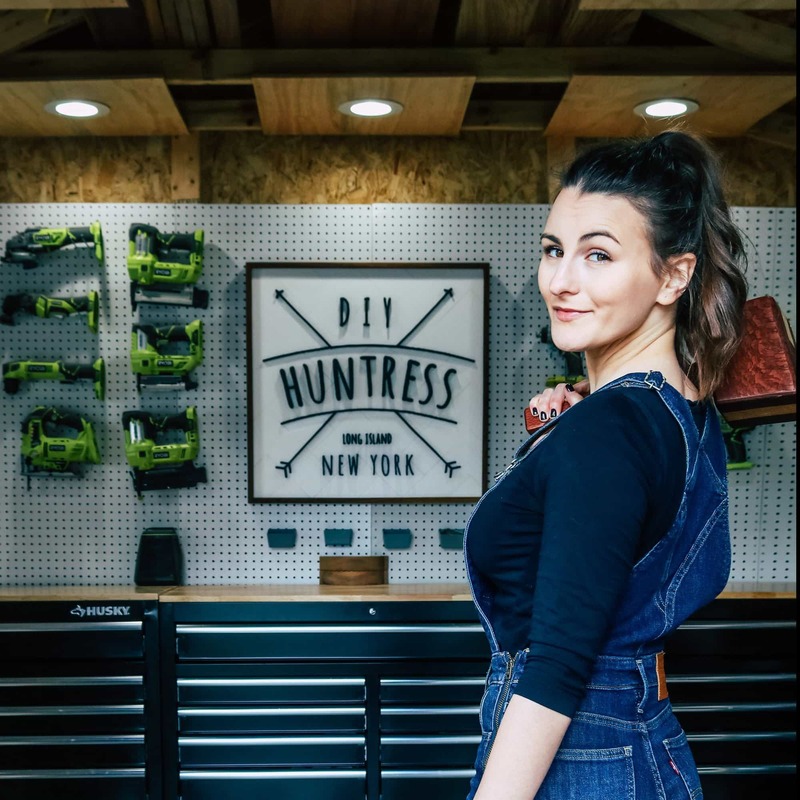 There are two things in this world that I am completely obsessed with… making things by hand, and my dog. 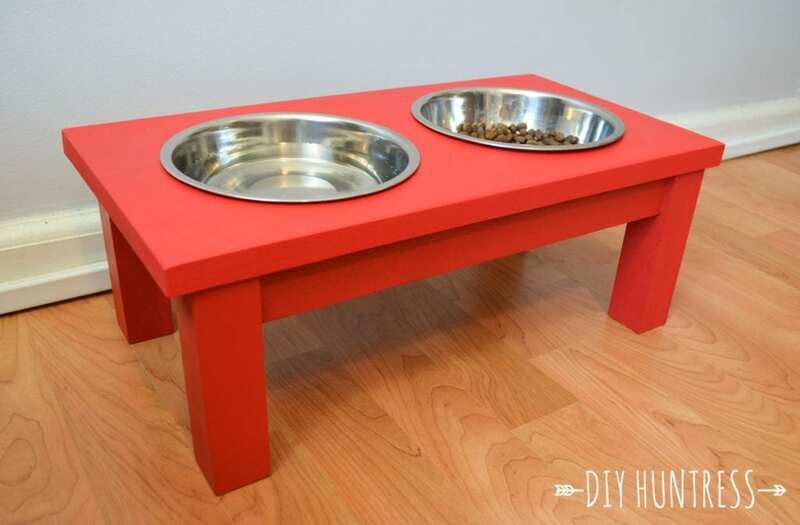 So, I couldn’t think of a better project than combining the two things I love into one by making Titan his very own dog bowl stand. 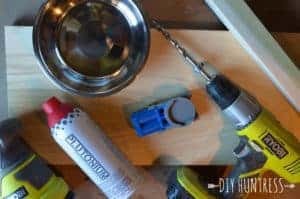 I love T to death, but I hate tripping over his dog bowls (he likes to eat and walk), and now that I am partnering with my friends over at Kreg Tools (yay! ), I thought this would be a great opportunity to put my pocket hole jig to good use on a useful project. If we’re being honest here, the stand I wanted to buy was $100… so, yeah right. I made this one for around $18! 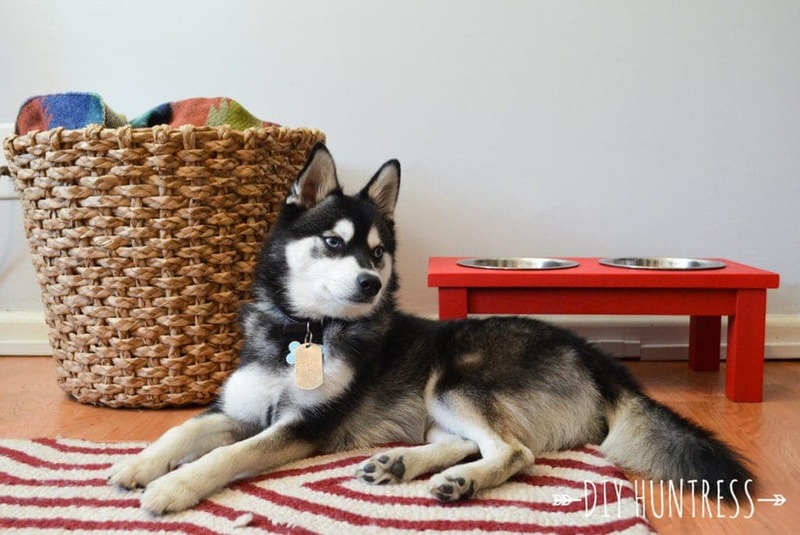 All materials listed for this project are for use with a medium sized dog bowl. 1. 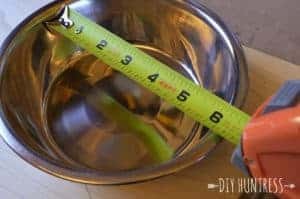 Measure the inside of your dog bowl to figure out how large the circle cutouts should be. I used medium sized bowls from Petco, and they measured to be about 61/4” across (not including the lip). 2. 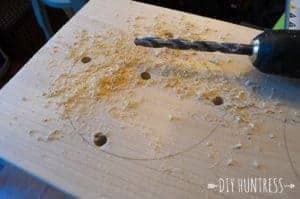 Use a crafter’s compass or circular object to create the circles for your cutouts on the 10″ board. 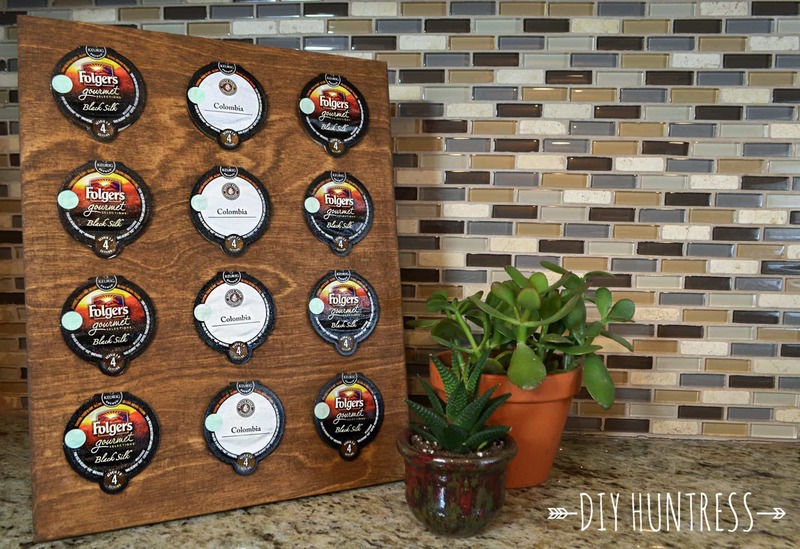 Make sure the circles are an equal distance from the top and the bottom of the 10″ wide board. 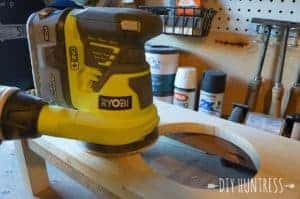 Leave about 2″ of room in between each of the bowls, and then again from the end of the circle to the end of the board (you will have to trim your board with your miter saw at the outside 2″ markings located near the ends of the board). 4. 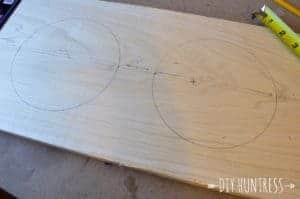 After trimming, attach your board to the edge of a workbench and then drill holes inside the traced circles. 5. 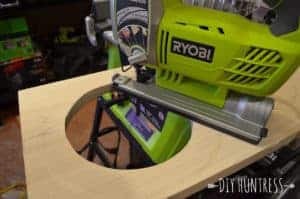 Use your jig saw to cut out the openings for the bowls. Start by inserting the blade into one of the predrilled holes. As you go, make sure you have a bowl handy so you can make sure it fits. 6. Once the holes are cut, it’s time to move onto the legs. 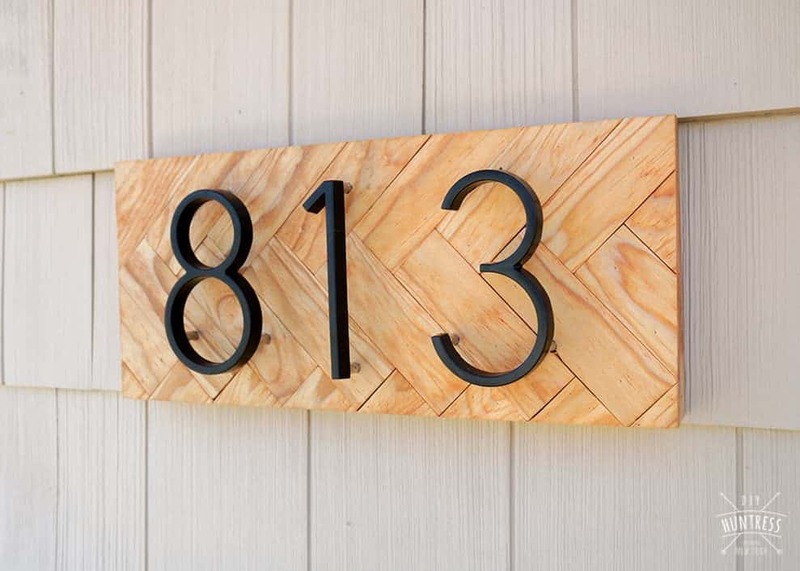 For this, you will use the 1.5″ x 1.5″ board. Measure the legs of your stand based on how tall your dog is. Titan is pretty small, so the legs of this stand are only 6″ tall. 7. Next, measure the pieces for the framing (this is where I used some of the scrap wood I had laying around – you can use the 1″ x 2″ board for this part). With the medium bowls, these came out to be 14″ for the each of the long edges, and 6″ for the each of the small edges. 8. 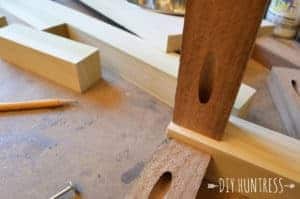 Use your Kreg Pocket Hole Jig to drill pocket holes in each end of the beams that will attach the legs. 9. 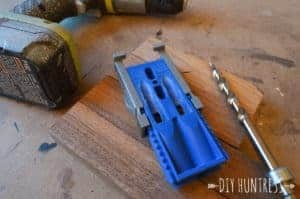 Attach the framing beams to the legs using the appropriate screws in your Kreg Jig Kit. 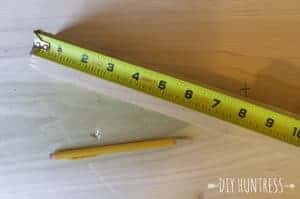 Because the beams are half an inch thinner than the legs, use your measuring tape to center them before attaching. 10. Once the base is assembled, apply wood glue to the edges and nail the top piece to the base. 11. 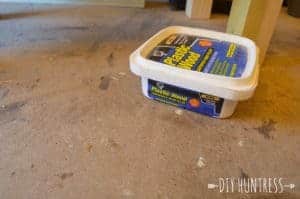 Use wood putty to hide the nail holes. 12. 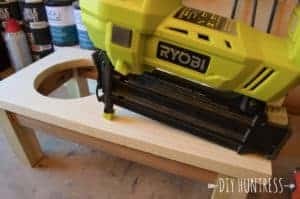 Use your sander to get rid of imperfections and prep the piece for painting. 13. Paint or stain your finished piece! 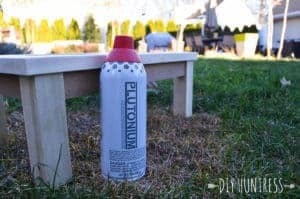 I usually go for wood stain, but I just got my hands on some of Plutonium Paint‘s cans and I was so excited to use them. 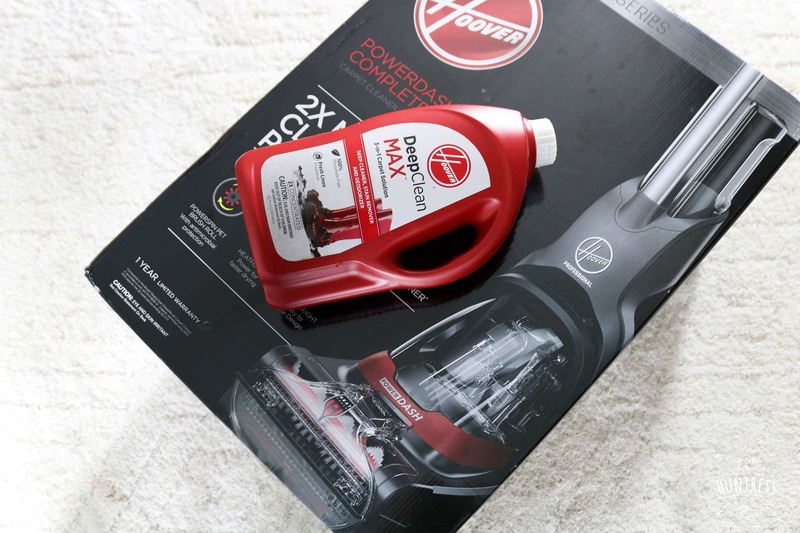 I chose red so that the stand matches the accents in my home. It dried super quick and didn’t have a strong smell, which allowed me to bring it in the house earlier than usual. 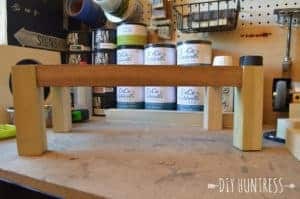 Once your own stand dries, bring it inside and watch your best friend go nuts over the cool new thing you built for him or her! 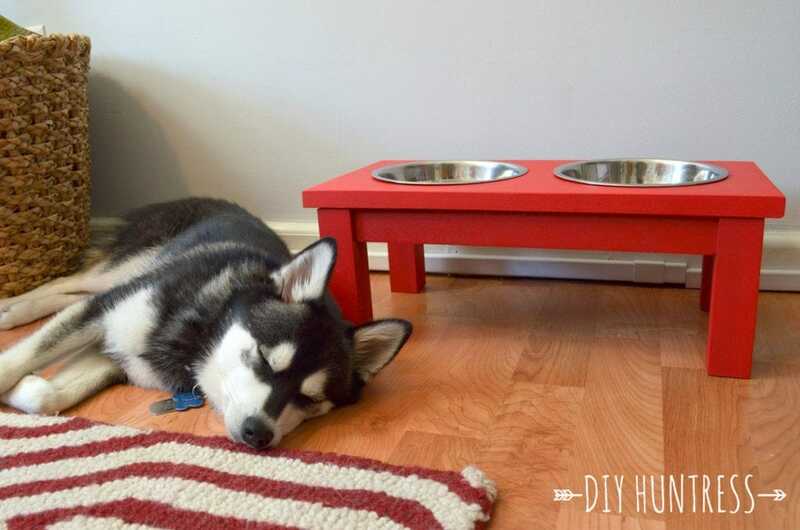 Or… if your best friend is like Titan, maybe they’ll just show their appreciation by napping next to it. I hope you guys can see yourselves making a fun stand like this one for your furbaby! It was a lot of fun to build and only took about a day. Next time you guys see me things will be really different around here (in a good way). I can’t wait to share my new adventures with you all! 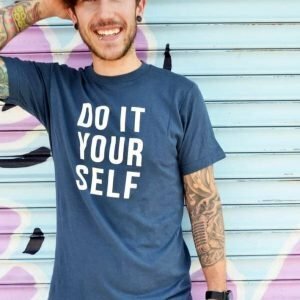 Please keep sharing your projects with me on social media! 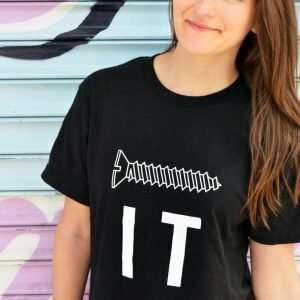 I love seeing what you do! See you all soon!